October 1973. 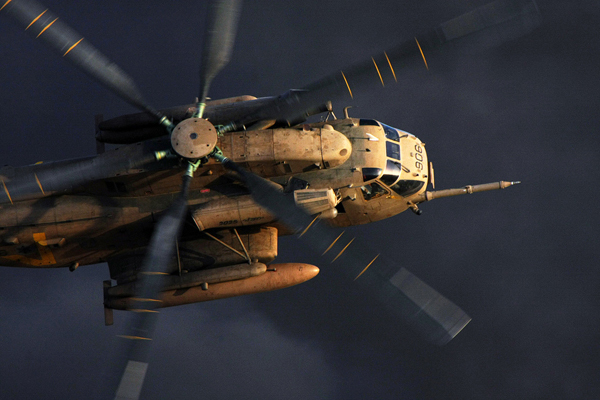 An IAF "Yas'ur" (CH-53) transport helicopter takes off and flies towards Syria carrying 25 Sayeret Tzanhanim combatants, all commanded over by Lt. Gen. (Res') Shaul Mofaz, then an officer ranked Captain. The combatants aimed to disrupt the Iraqi transfer of weapons and military forces to Syria in an operation later named Operation "Gown". "Operations 'Gown' and 'Davidka' are the peak of creativity and courageousness performed by combatants who understood that victory was necessary by any means. Landing a force deep in enemy territory is a complex mission", Lt. Col. Y', Commander of the 118th ("Night Riders") Squadron. "Disrupting the Syrians' supply caravans was a matter of great importance. Additional forces and equipment could have caused the collapse of the Golan Heights borders". The dramatic sortie on October 12th brought the Sayeret Tzanhanim combatants to a small bridge connecting Iraq and Damascus, from which the enemy forces planned to transfer equipment to the front lines against Israel as part of Operation "Davidka". Their mission was to blow up the bridge and return to Israel. On their way back, the combatants noticed a suspicious truck convoy driving stealthily in the night with its lights off. They realized that they were facing an immediate threat and decided to return to Syria the night after. "Bravery in the battlefield, doing whatever it takes to bring soldiers home safely and performing the mission in spite of the challenges involved – these principles follow us to this day. 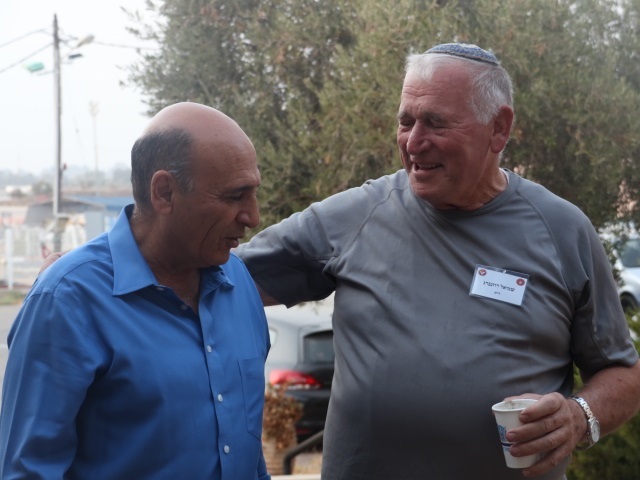 Your experiences during the Yom Kippur War are inspiring", said Lt. Col. Y' to the combatants who participated in the operation. "You faced challenging physical and mental conditions, overcame defeat and turned it into a victory. Without those IDF service members – mainly the fighting forces – we wouldn't have had a country today". The night of October 13th. A helicopter piloted by squadron commander Lt. Col. Yuval lands on the road between Damascus and Homs, carrying 39 combatants onboard. Just several minutes later, the combatants realize that they have been noticed by the enemy. "I was a young officer alongside several other young officers on a hilltop, and I had to decide what to do", recalled Lt. Gen. (Res') Shaul Mofaz, who later became the IDF Chief of Staff and Israeli Minister of Defense. "We decided on concealment. Hiding in Syrian territory near Homs is an unpleasant experience. We split up into two forces and divided the gear between us, and at that moment I realized that my chances of seeing the force's other half the day after were small. Just minutes later, someone ran up to me and said: 'It's Yuval, the squadron commander'", said Lt. Gen. (Res') Mofaz with a smile. "The squadron commander said he would arrive in 15 minutes, just when we decided to split up. I called everyone back and we waited for him – we knew that he would land and that everything would be alright". 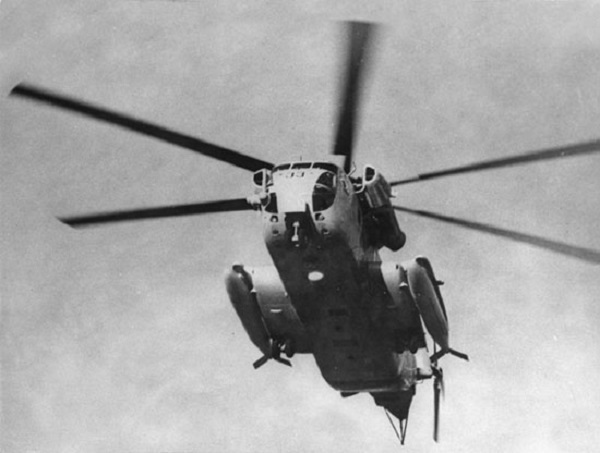 The helicopter crew's challenge was locating the combatants without being spotted by the Syrians, who sent a fighter jet to shine a light on the territory and find the concealed forces. Lt. Col. Yuval asked the force commander to put the flashlight on strobe so he would be able to locate the combatants, but they feared that they would be found by the Syrians. Finally, Lt. Col. Yuval convinced Capt. Mofaz to flash once and managed to successfully find the force. "The squadron and the Sayeret formed a bond thanks to our common missions. We fought alongside Lt. Col. Yuval many times. He didn't have to get us out of enemy territory that night, but he felt that he had to, personally, seeing as he was the one who brought us there", recalled Lt. Gen. (Res') Mofaz. "Every service member in the squadron and anyone who has ever transported combatants knows that an operation during wartime is completely different than an operation during routine. The only ones you can trust are those who are with you and know the mission. Values are the determining factor during wartime - the ability to trust each other comes not from the profession or the technology, but values". 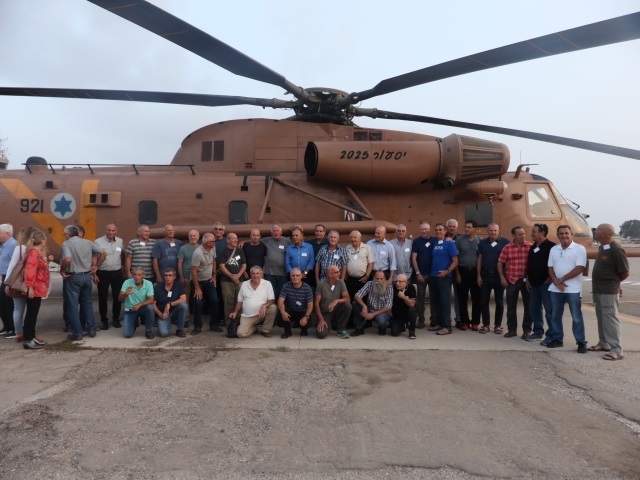 Last week, the 118th Squadron's past and present members met with the Sayeret Tzanhanim combatants who participated in Operations "Gown" and "Davidka". The combatants brought up memories and heard about the squadron's development over the years. Afterwards, they visited the "Yas'ur" helicopter line from which they took off on the important operations. "We trust you, and it's not because we don't have a choice. 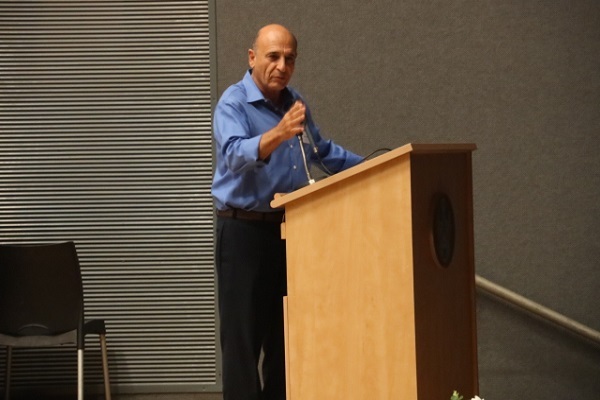 We trust you because we know you, we know your legacy and we're certain you'll do what's right", said Lt. Gen. (Res') Shaul Mofaz to the squadron's service members. "Learning about our operational history is directly related to preparing our service members for combat", concluded Brig. Gen. Peleg Niego, Commander of Tel-Nof AFB. "War doesn't always look the same. Personally, I never experienced a war like the Yom Kippur War, but I know that my service members and I may be required to. Our history shows us operations of the past through the eyes of people, flesh and blood, who tell us their life stories. In training, we can't simulate the uncertainty of combat or the fears of war".